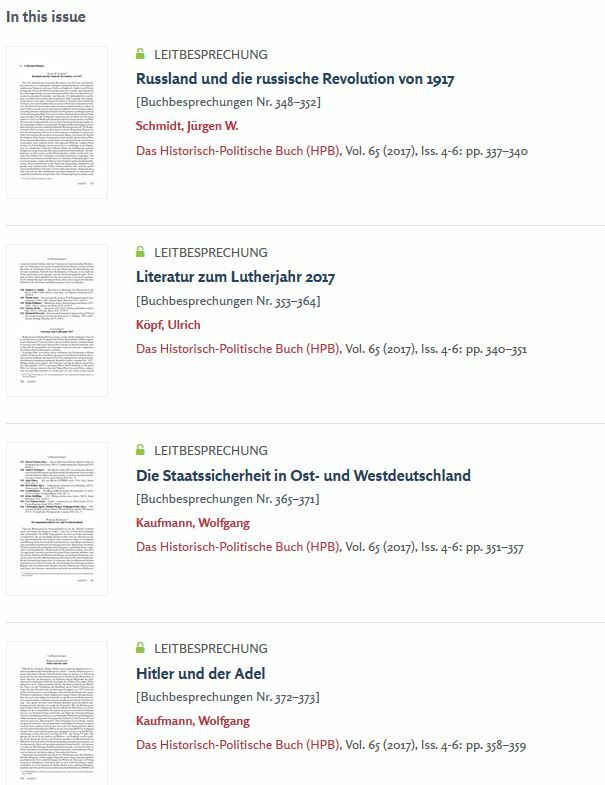 I am pleased to report that Oxford researchers now have online access to Das Historisch-Politische Buch: ein Wegweiser durch das Schrifttum (ISSN: 0018-2605), starting with vol. 65 (3), 2017. This review journal started publication in 1953. 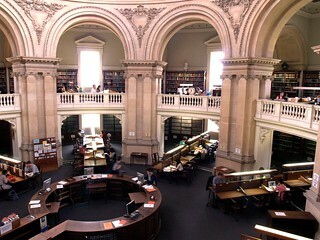 The printed copies can be requested from the offsite storage to Bodleian Libraries reading rooms. More than 1,000 international scholars publish reviews (Buchbesprechungen) in the journal on a regular basis, reviewing over a 1,000 current publications annually. While focusing on history and political science the HPB covers related disciplines as well. The topics range from medieval to post-1945 history and include non-European history also. The reviews are either by publication or gathered in themes, e.g. historical methods, regional and urban history, military history, education, environment, gender, religion and church, etc. The journal provides scholarly guidance of the historical literature for researchers and librarians. The reviews summarise the content of the book, comment on the subject and place them in the research context. 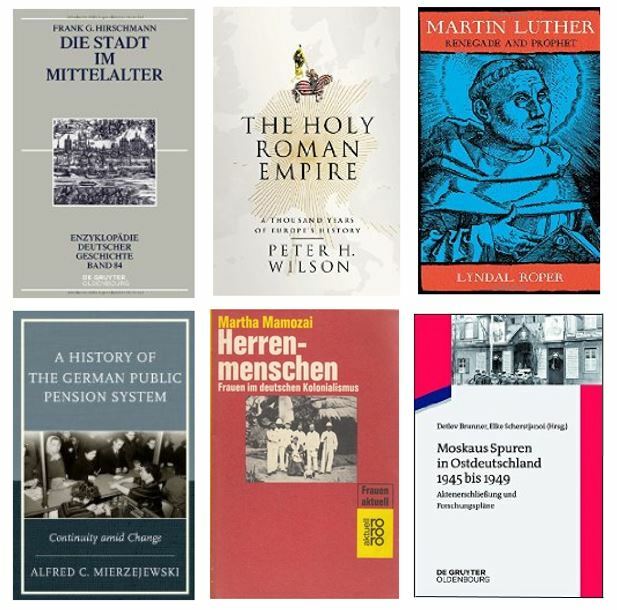 This is a great resource to discover the German historiography of a wide range of publications on history and politics and to locate book reviews. The reviews are in German and are full-text searchable. Oxford reseachers now have access to the digitised Deutsche Reichsanzeiger und Preußischer Staatsanzeiger 1819-1945. It is listed in Databases A-Z and will soon also appear in SOLO. The content also changed over time. Alongside interesting government-controlled editorial sections, the value of this resource lies in an enormous treasure of orderly gathered microdata. While the gazette published official government notices, in the course of the second half of the 19th century it also published details relating to trade and commerce (e.g. bankruptcies) and between 1873 and Deb 1943 also stock market information. This resource will also be of interest to those engaged in genealogical studies in Germany in as far as it published extensive lists of casualties during the First World War and expatriation lists during the Third Reich. 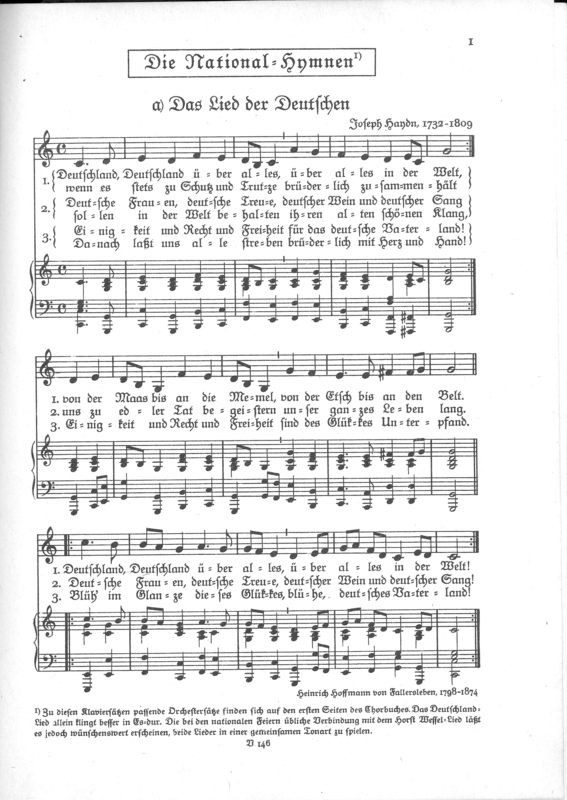 The text is in German Gothic script. You can zoom in and out to enlarge the text and easily create a snippet image to save or print out. Full-text searching is possible also. Hepp, Michael; Lehmann, Hans Georg, Die Ausbürgerung deutscher Staatsangehöriger 1933-45 nach den im Reichsanzeiger veröffentlichten Listen. 3 vols. (München : Saur, 1985-1988). Today, on 8 May, seems an appropriate moment to mark the 71st Victory in Europe Day, or V.E. Day, by publicly acknowledging, thanking and remembering a kind bibliophile for donating some Nazi publications to the Bodleian Library. 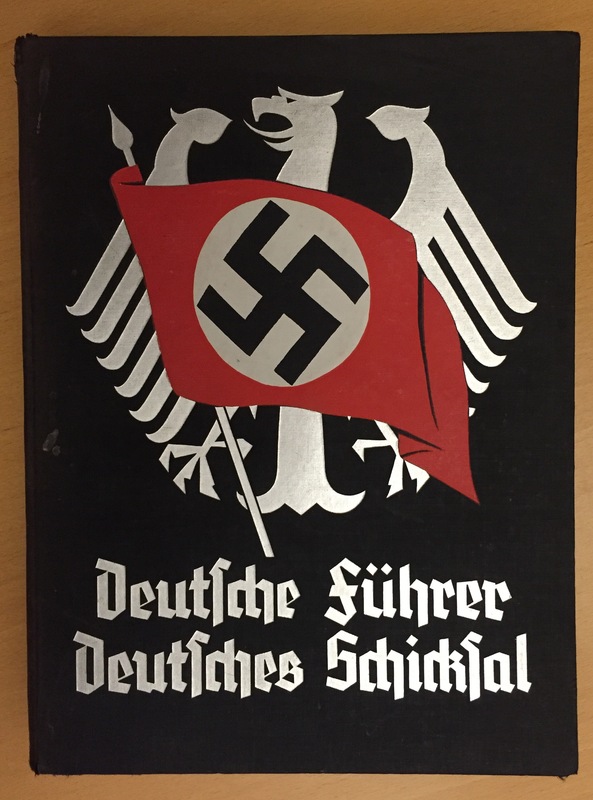 Such material should continue to be made accessible and preserved, ideally in a library, as a reminder to subsequent generations of the horrors of the Third Reich and the Second World War. 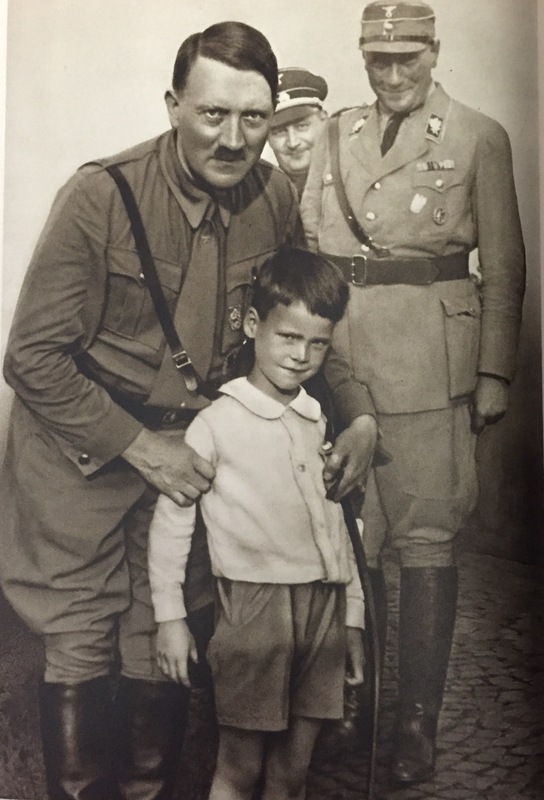 Photos of Hitler posing with children make for very uncomfortable and unnerving viewing as do shots of the German navy, however excellent the German photographic skills and equipment are. Apart from the historiographical interest, those interested in the history of photography will likewise find some of the visual content noteworthy. Below, Mr Andrew McCarthy reflects on his father’s life, his interest in German culture, his loathing of Hitler and keen book-collecting but also book-donating habits to school libraries and German prisoners of war. He sounds a fascinating and multi-faceted man. Reginald McCarthy. © Reproduced by kind permission of Andrew McCarthy. I cannot remember a time when I was not surrounded by books. My father, Reginald McCarthy, bought and read books all his life. He taught me to read when I was four, and as soon as I could read, he bought books for me. He was born in 1896 and died in 1982. He served in the East Yorkshire Regiment during the Great War, and was wounded at Passchendaele. He spent most of his working life as an architect, surveyor, and estate agent. In the 1930s he owned and edited a local weekly newspaper, the “Hornsea and District Bulletin”, in the East Riding of Yorkshire. No copies are known to survive. 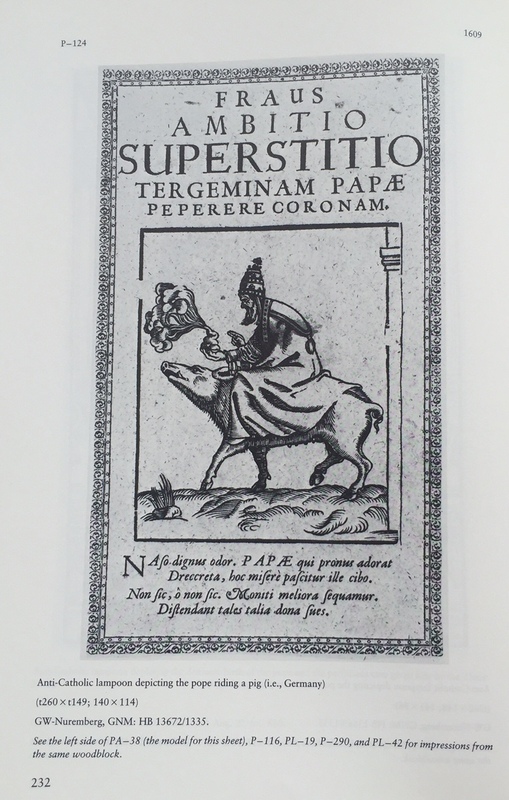 My father spoke fluent German, which he had taught himself in an era when German books were printed in Gothic type. He would walk around the house declaiming Heine’s “Die Lorelei”, which he knew by heart. He was an obsessive collector, who believed that money spent on bookshelves could be better spent on books. There were piles of books all over our house. If my father needed a book which was at the bottom of a pile, he would pull it out carefully. The pile would wobble, but stay upright, only to fall over days later, often in the middle of dinner. In 1977, there were over 3,500 books in our house. © Reproduced by kind permission of Andrew McCarthy. 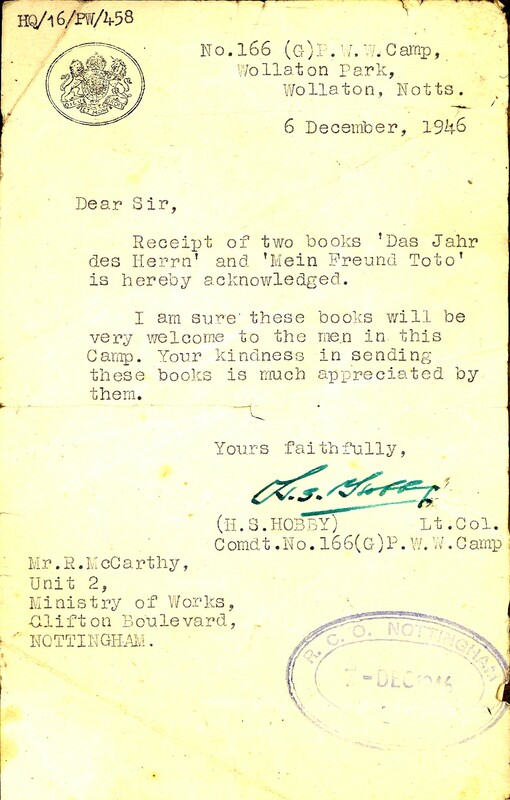 I also have some letters which were sent to him in 1946 and 1947 from the Commandant of the Prisoner of War Camp in Wollaton Park, in Nottingham, thanking him for several donations of books. The Second World War had only just ended, but my father felt sorry for the German prisoners, so he gave them books in German. He loathed the Nazis, but he’d fought against German soldiers on the Somme in 1916 and at Passchendaele in 1917, and was able to see “Jerry”, as he always called the German soldier, as a human being. It’s interesting to learn how the system at the Prisoner of War Camp worked. 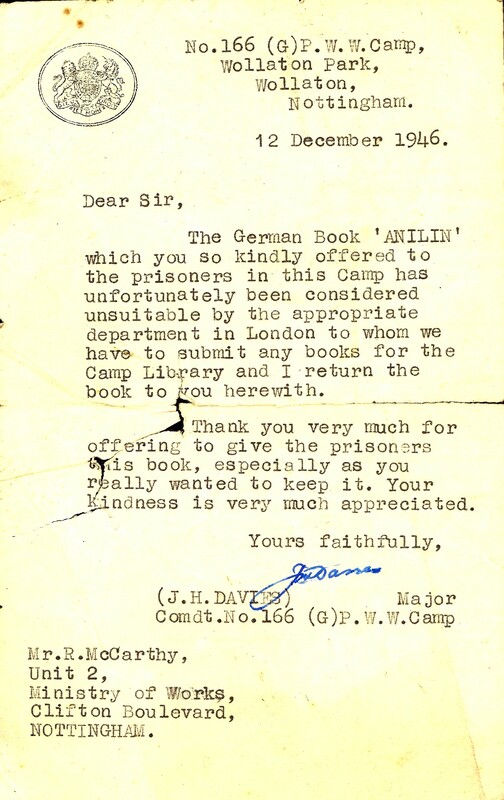 My father was asked if he would send the Commandant the full details of any books he wanted to give to the camp library, so that they could be approved (or not) by “the appropriate department in London”. “The Adventures of Tom Sawyer” was welcomed with enthusiasm, but “ANILIN” was on the banned list. My father’s record-keeping was chaotic – just like his shelving of books – but I am fairly sure that he bought the Nazi books from Foyle’s on the Charing Cross Road in the 1930s. He told me that the staff kept them on one side for him. When a young British Nazi, or Fascist, had repeatedly asked if they had any books about Hitler and the Nazis. Foyles’ staff pretended that they didn’t. They were keeping the books for my father, because they knew he hated Hitler. My father was a loyal reader of the “Daily Telegraph”, which, along with the “Manchester Guardian”, reported the activities of the Nazis in the 1930s fairly accurately. The editor of the “Times”, Geoffrey Dawson, was an appeaser, and would suppress or modify news stories which might anger Hitler. 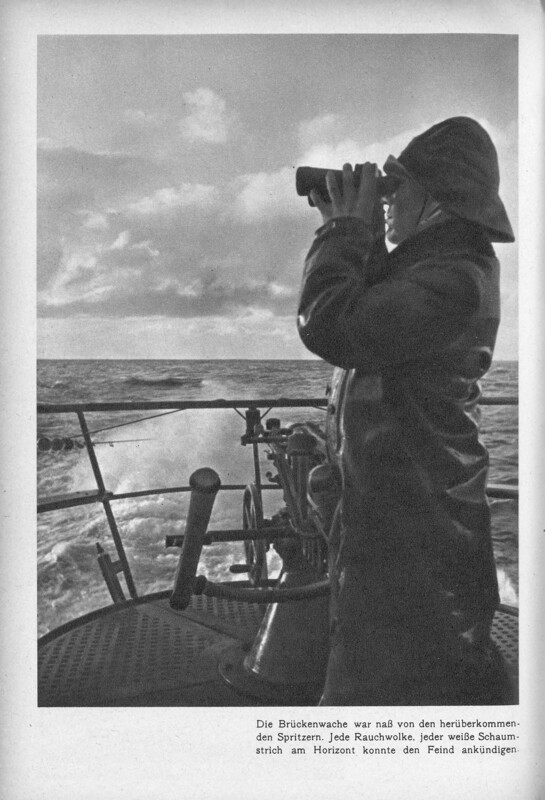 From 1922 until 1932 my father lived in Hornsea, in the East Riding of Yorkshire. He was an architect, surveyor, and estate agent. He owned and edited the local weekly newspaper, the “Hornsea and District Bulletin.” As if he didn’t have enough to do, he also ran a private library. This was in his office in Newbegin, Hornsea. Books could be borrowed for a small annual subscription. This was the heyday of the private library, when Boots and and W.H. Smith’s branches would lend books for a small fee. 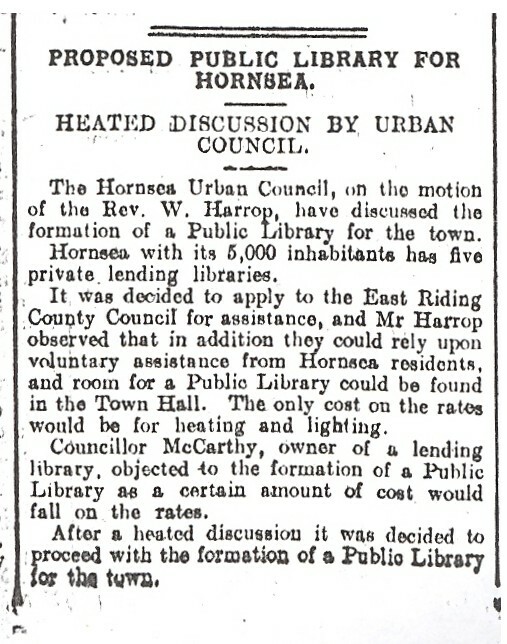 In 1930, the council proposed establishing a public lending library. At first, my father objected, because Hornsea ratepayers would have to bear some of the cost, as this cutting from the “Beverley Guardian”, of February 8th 1930, explains. When the East Riding County Council offered a library of one thousand books, paid for by the County, my father withdrew his objection. The library, in the Town Hall, opened on March 14th, 1930. It opened 101 times in its first year, and 29,542 books were issued. Some residents were not as conscientious as they should have been. In June, 1931, the Waterworks, Fire Brigade, Museum and Library Committee decided to write “strong letters to persons who had failed to return books within the allotted time”. My father’s obsession with books lasted all his life. He would have been astonished and delighted to learn that some of his books have ended up in the Bodleian. 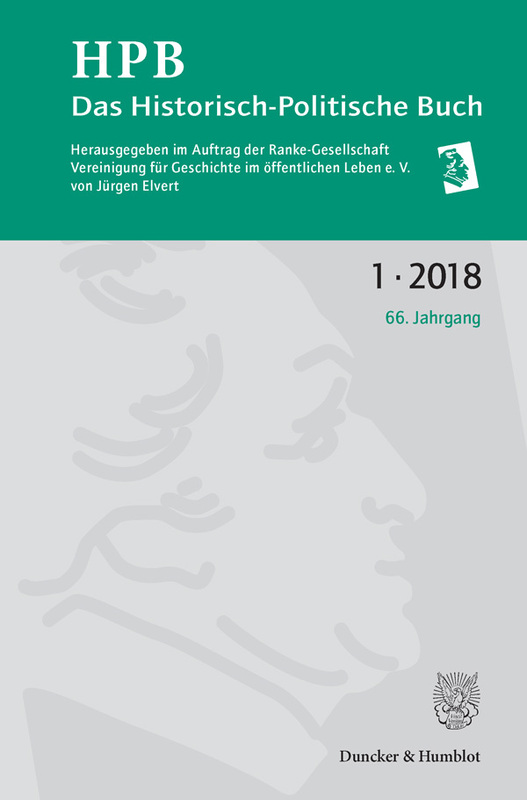 Students and researchers intending to use archives in Germany might find the new German archives: a guide to discovering and using them useful. 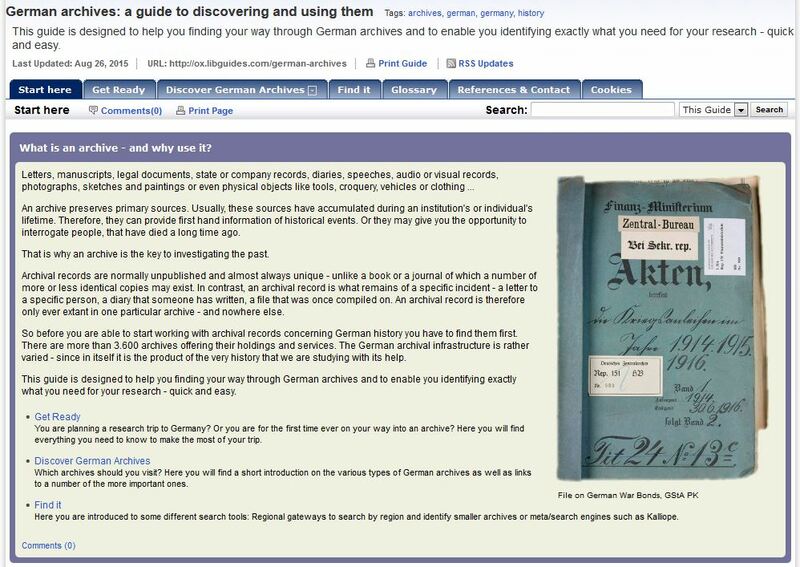 Created by Ms Ulrike Kändler as part of her internship at the Bodleian Library, August 2014, the guide is designed to help you finding your way through German archives and to enable you identifying exactly what you need for your research – quick and easy! There are more than 3.600 archives offering their holdings and services in Germany so it can be daunting to know where to start. Which archives should you visit? Here you will find a short introduction on the various types of German archives as well as links to a number of the more important ones. Here you are introduced to some different search tools: Regional gateways to search by region and identify smaller archives or meta/search engines such as Kalliope. Do you know your Ablieferungsliste from your Zugang? A glossary will help you understand specialists terms you are likely to encounter and enable you to communicate with German archives more effectively. Help, I can’t read the script! The guide also includes links to script tutorials and useful transliteration resources. I am very grateful to Ms Ulrike Kändler. Without her incredibly hard work, dedication and expertise this guide would not exist. Her short period in Oxford leaves a legacy from which Oxford researchers can benefit from for a long time to come. Oxford users are now invited to trial the online Frankfurt and Leipzig Book Fair Catalogues. The trial is accessible until 17 January via SOLO and OxLIP+. 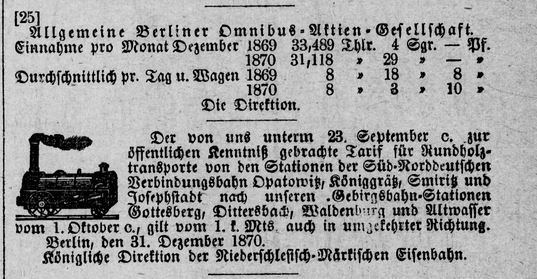 The digitized versions (from microfilm) of the catalogues for the Frankfurt and Leipzig book fairs (Messkataloge), representing an almost complete run from 1594 to 1860. Please send feedback to alan.coates@bodleian.ox.ac.uk by 17 January 2014. If you have queries regarding access, contact eresources@bodleian.ox.ac.uk. 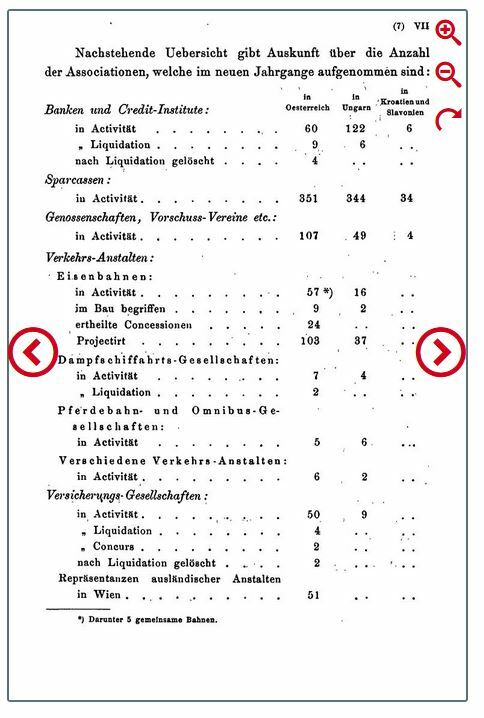 “Book-trade catalogues, generally referred to as book fair catalogues, offer a unique overview of German – and in many respects European – book production over a period of nearly 300 years (1594-1860). This form of information, originally intended for the contemporary book trade, today forms an important and comprehensive historical bibliography of the period. 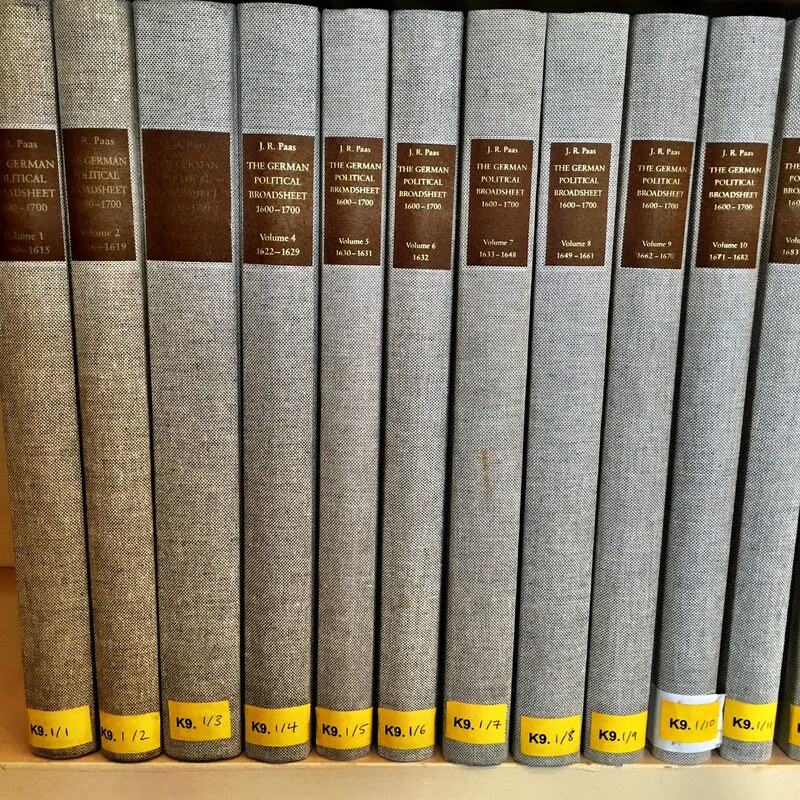 Oxford users can now benefit from the newly released latest addition to the InteLex Past Masters collections: the 55-volume set of Luther’s Works in English. It is a monumental translation project published jointly by Fortress Press and Concordia Publishing House in 1957. 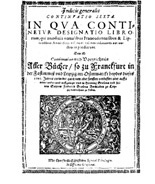 The first thirty volumes contain Luther’s expositions of various biblical books, while remaining volumes include his Reformation writings and occasional pieces. The final volume of the set contains an index of quotations, proper names, and topics, and a list of corrections and changes. This supersedes the CD-ROM which is currently installed on the PC in the HFL Consultation Room, Upper Camera. Funded by the Philosophy and Theology Librarian, access is now available from OxLIP+ and SOLO. And here’s more good news – and more online resources newly acquired for historians! Oxford users now also have access to East Germany from Stalinization to the New Economic Policy, 1950-1963. Access is via SOLO (shortly) or OxLIP+. This publication reproduces the US State Department Decimal Files 762B, 862B and 962B from the General Records of the Department of State, in the custody of the National Archives. 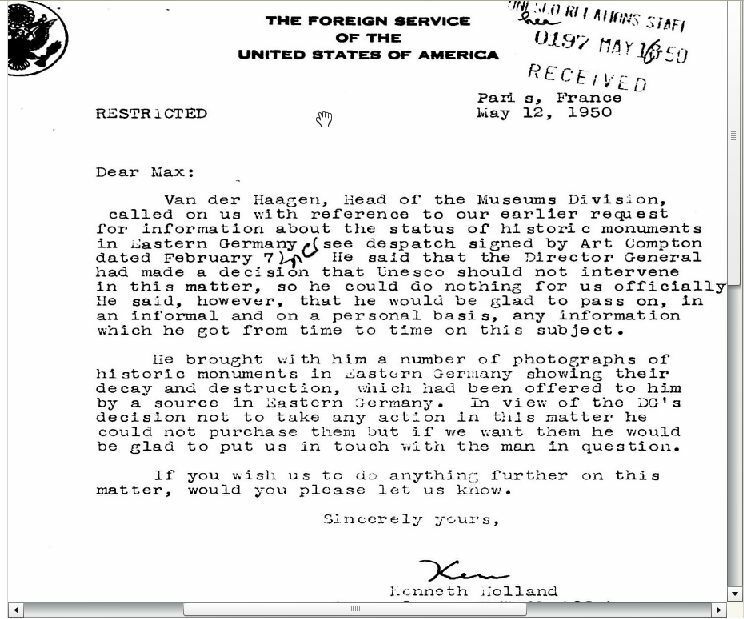 It was originally microfilmed as Records of the U.S. Department of State, relating to the Internal Affairs of East Germany. It specifically looks at in depth the creation of the East German state, living conditions and its people. Documents included in this collection are predominantly instructions to and dispatches from U.S. diplomatic and consular personnel, regarding political, military, economic, social, cultural, industrial and other internal conditions and events in East Germany. 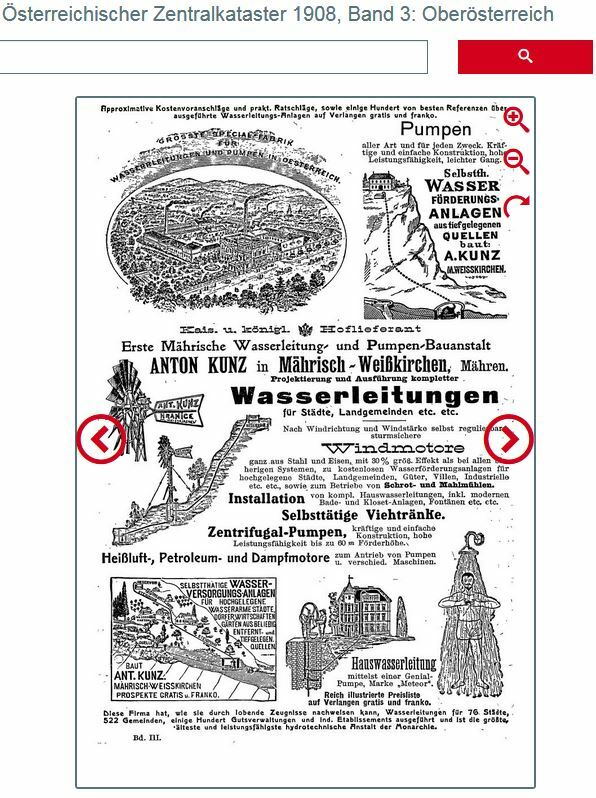 See yesterday’s blog about online access to three East Germany newspapers. Declassified Documents Reference System US (DDRS). Provides online access to over 500,000 pages of previously classified government documents. Covering major international events from the Cold War to the Vietnam War and beyond, this single source enables users to locate key information underpinning studies in international relations, American studies, United States foreign and domestic policy studies, journalism and more. Digital National Security Archive (DNSA). Collection: The Berlin Crisis 1958-1962. Beginning with documents from late 1953 when the Eisenhower administration began to formulate its Berlin contingency plans and closing with a series of newly declassified State Department histories from the late 1960s, The Berlin Crisis contains more than 11,500 pages from almost 3,000 documents. Foreign Broadcast Information Service (FBIS) 1974-1996 [selections]: Eastern Europe, 1974–1996. The Foreign Broadcast Information Service (FBIS) Daily Report has been the United States’ principal record of political and historical open source intelligence for nearly 70 years.